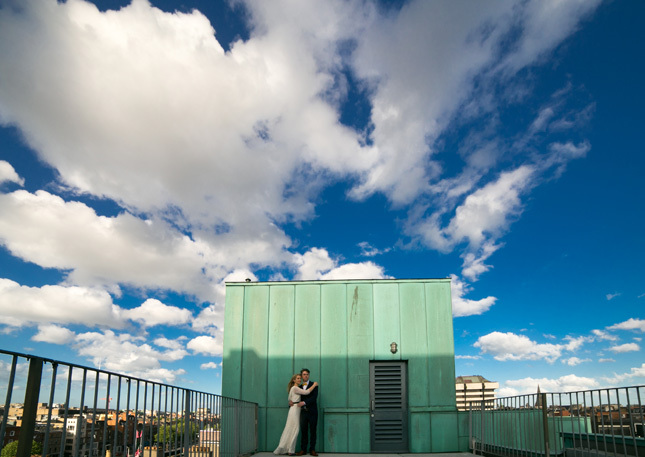 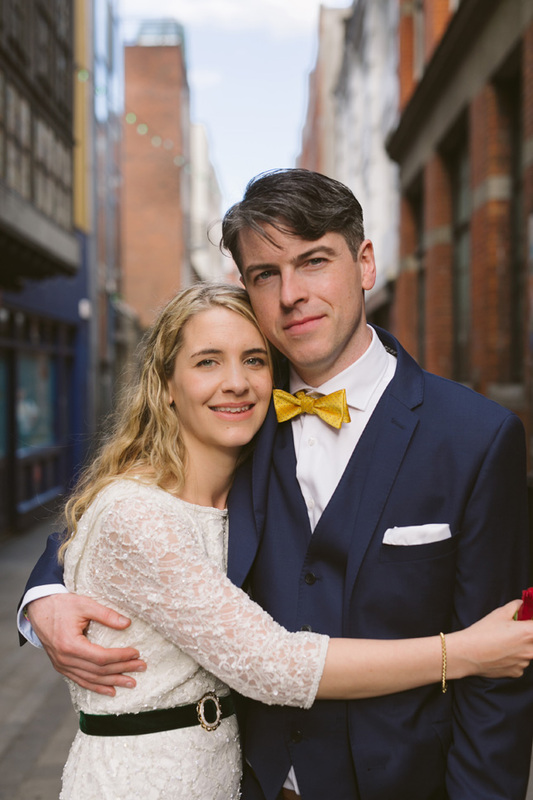 Aoife and Julien first met while studying at Trinity College Dublin. 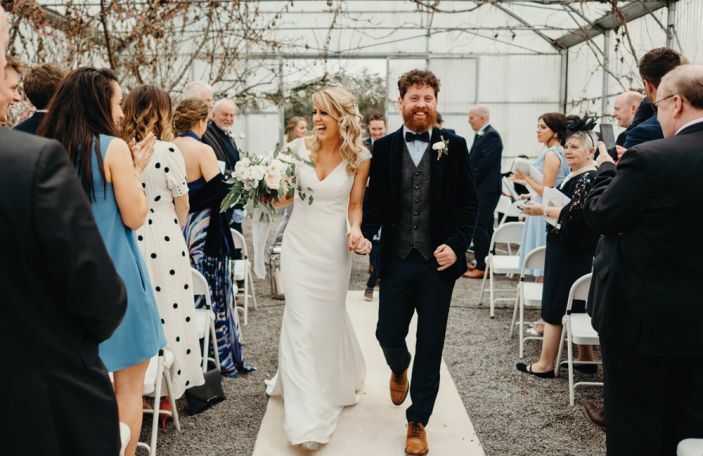 While pouring over the song list at a karaoke party in 1998, they discovered their passion for amazing music and later became engaged in a lighthouse in winter of 2015. 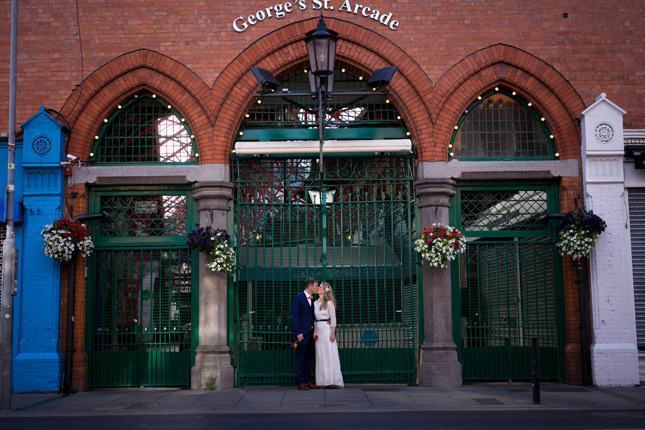 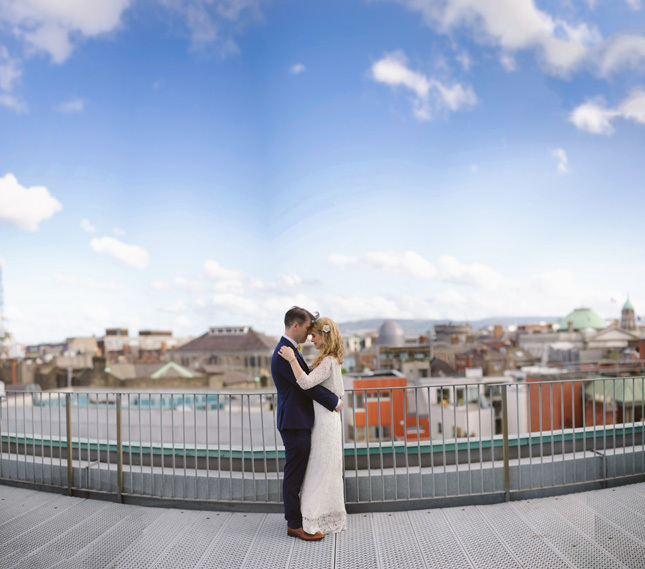 They got married in the very first art gallery in Europe, Dublin’s impressive City Assembly House. 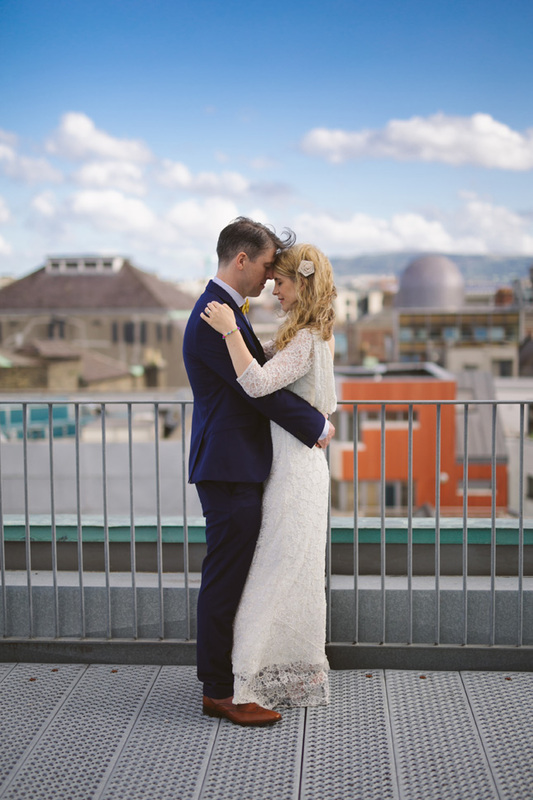 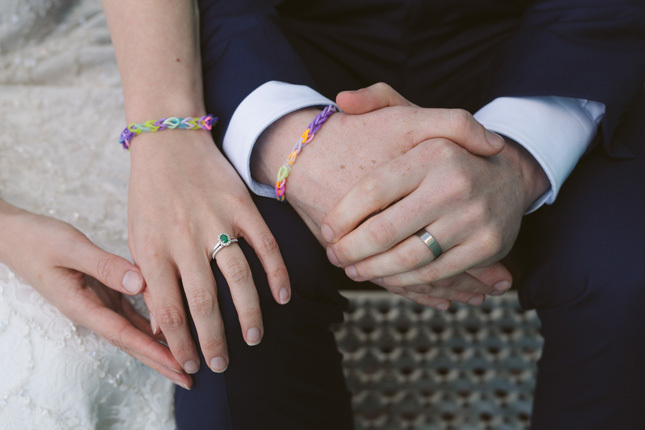 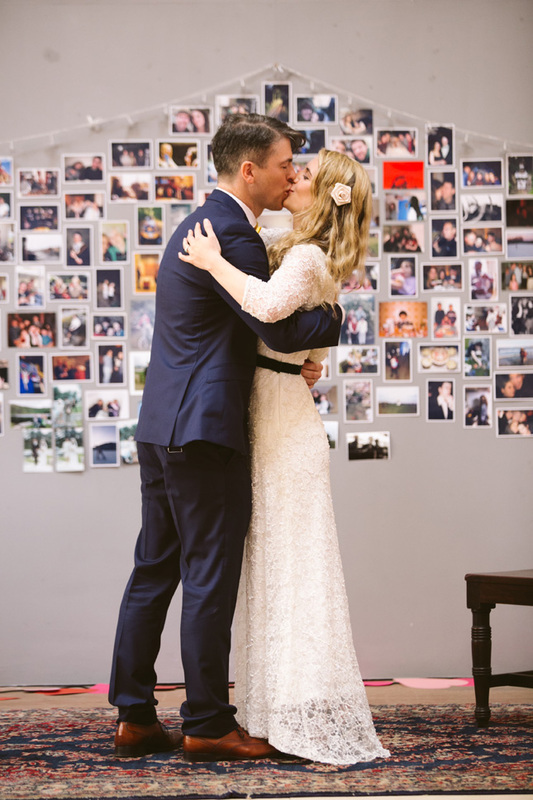 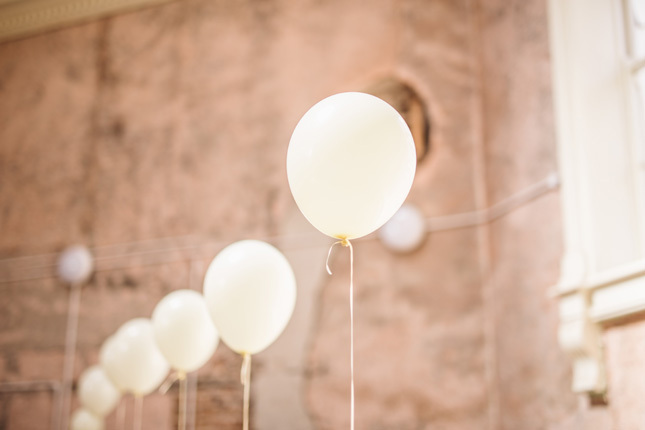 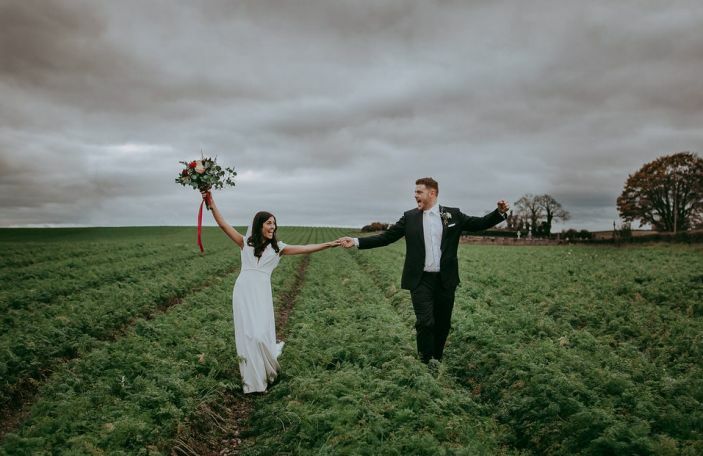 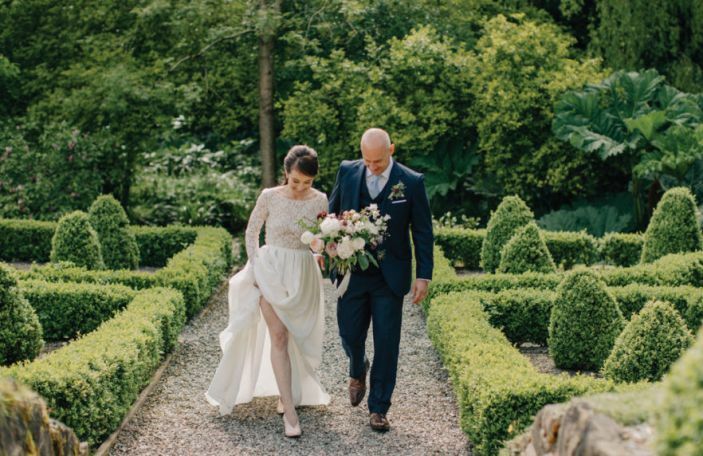 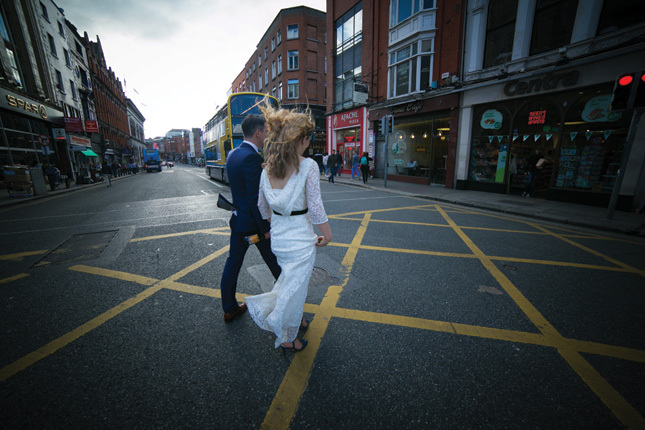 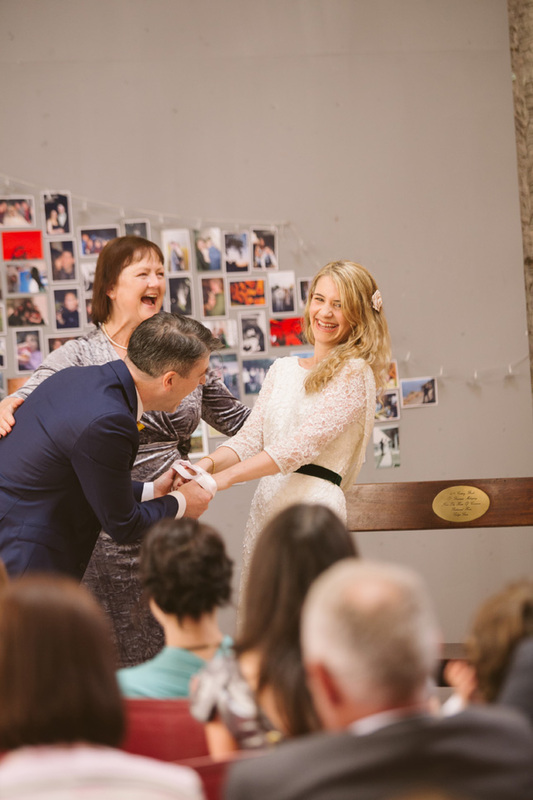 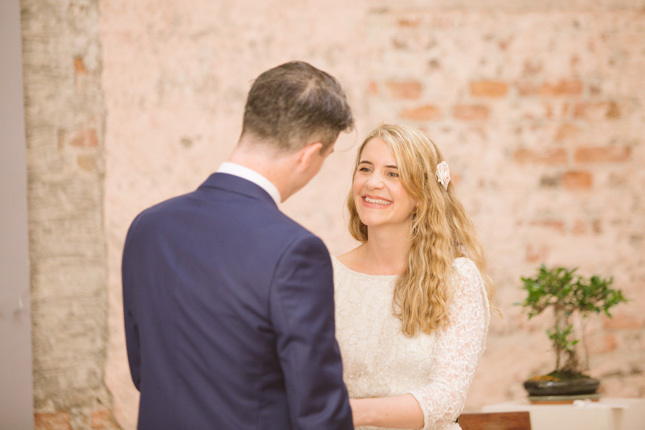 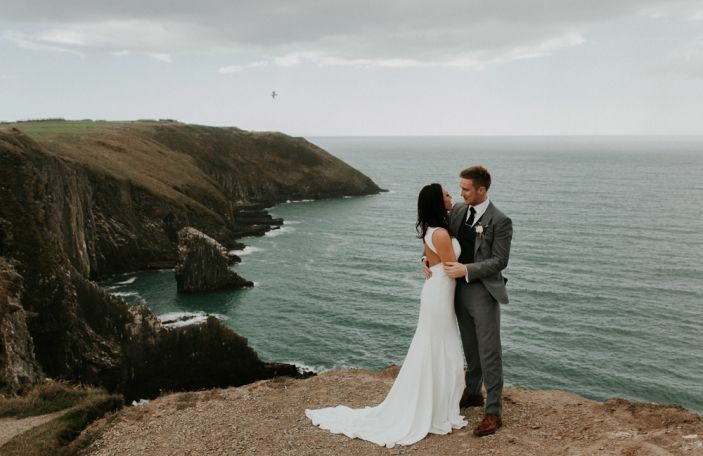 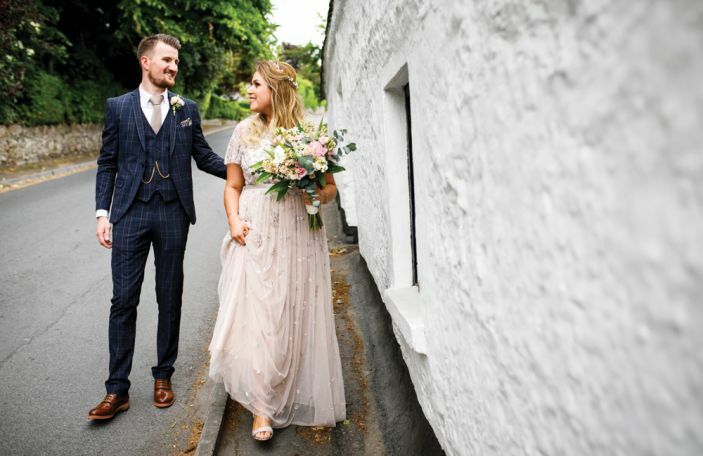 “We followed the short ceremony with cakes and ales in the Octagonal room and had our reception in Yamamori’s Bar Tengu on Ormonde Quay, with a Japanese dinner and a karaoke party to finish off the day,” Aoife remembers. 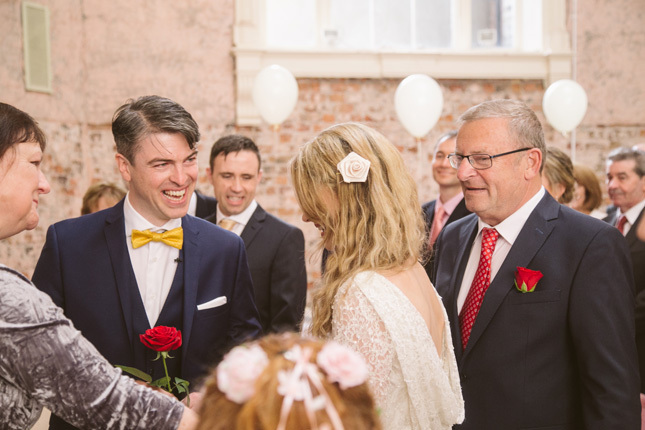 In fact, they were the first ever wedding hosted in City Assembly House! 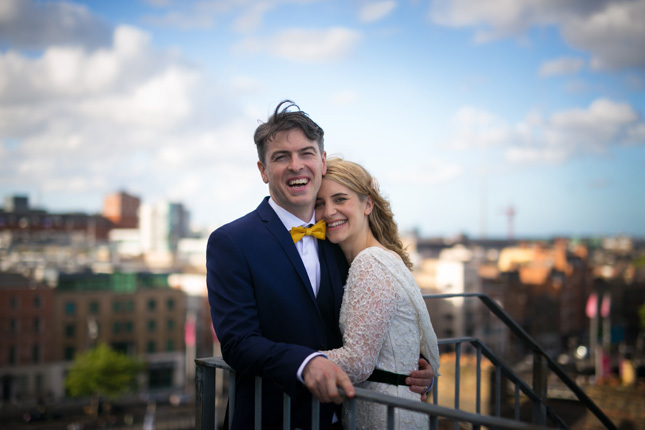 They had a little hiccup the night before the wedding, where Aoife lost her voice. 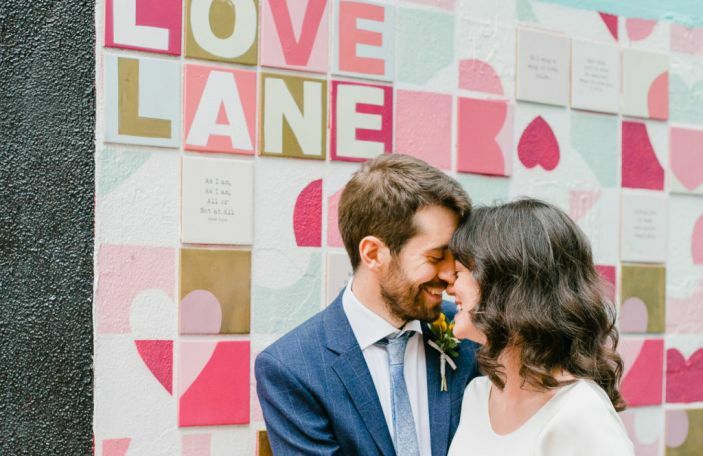 “We really wondered whether she’d be able to say those all-important words at the ceremony,” says Julien. 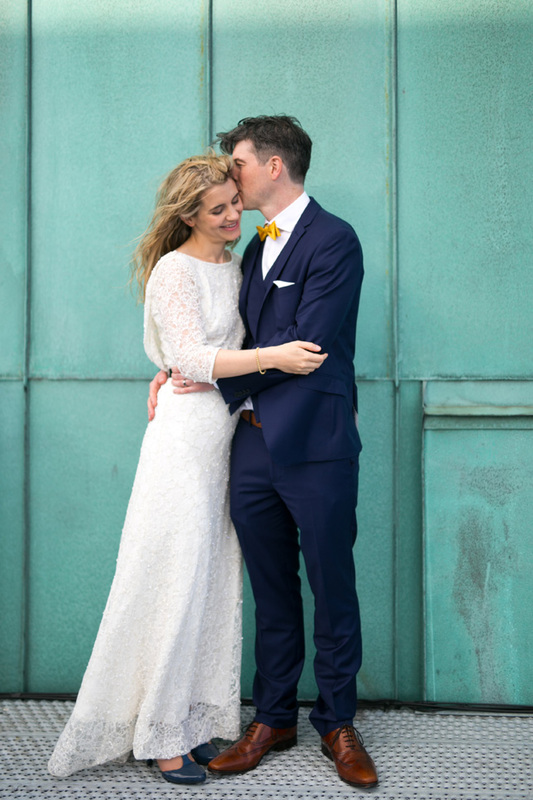 Their day was full of sunshine, love and laughter. 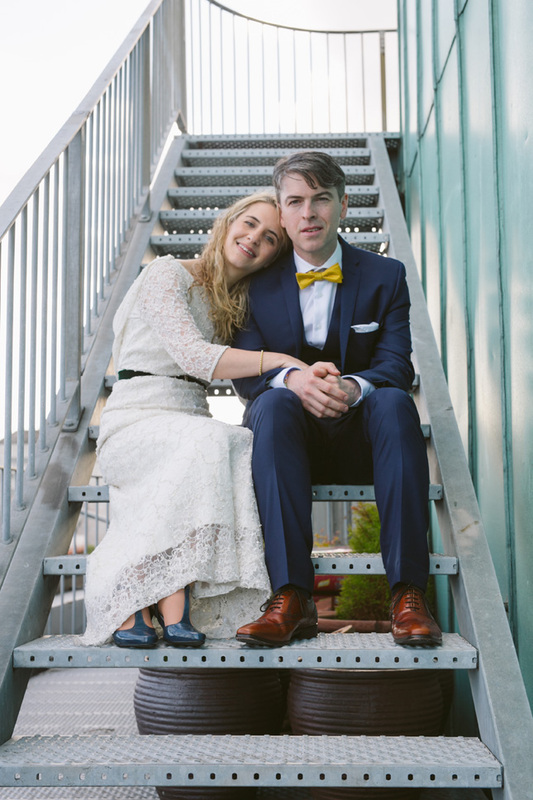 “Getting through the vows without cracking up was also hardest part,” laughs Aoife. 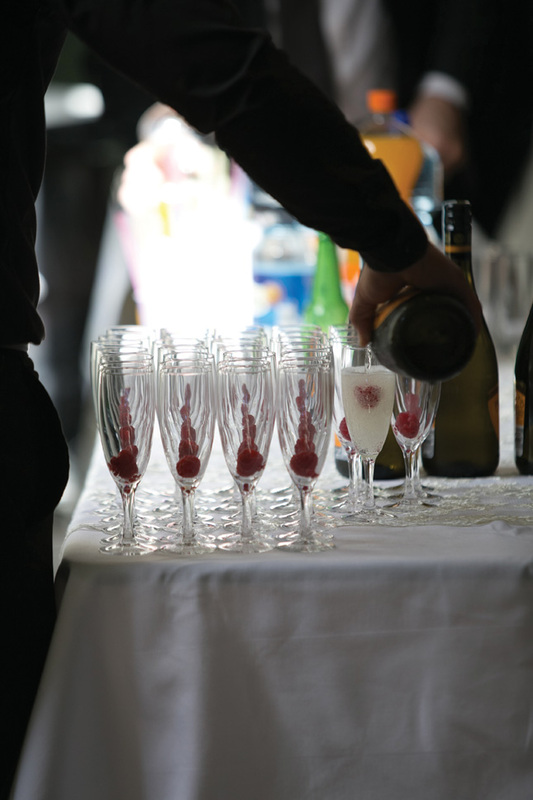 There were also major chilled out vibes on the day as it was a lovely sunny Bank Holiday. 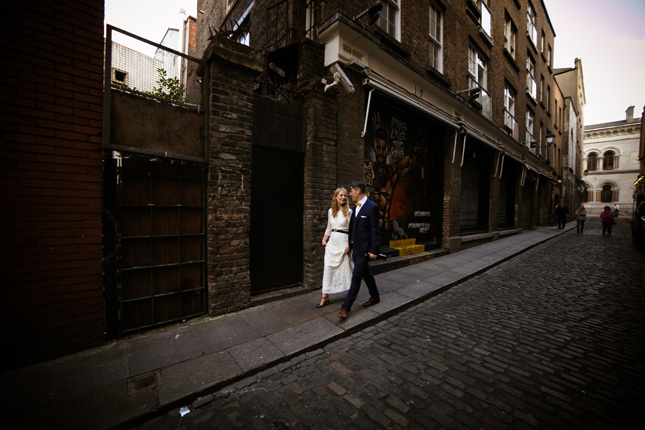 “Everyone was really relaxed, wondering what was in store as we were quite mysterious about it. 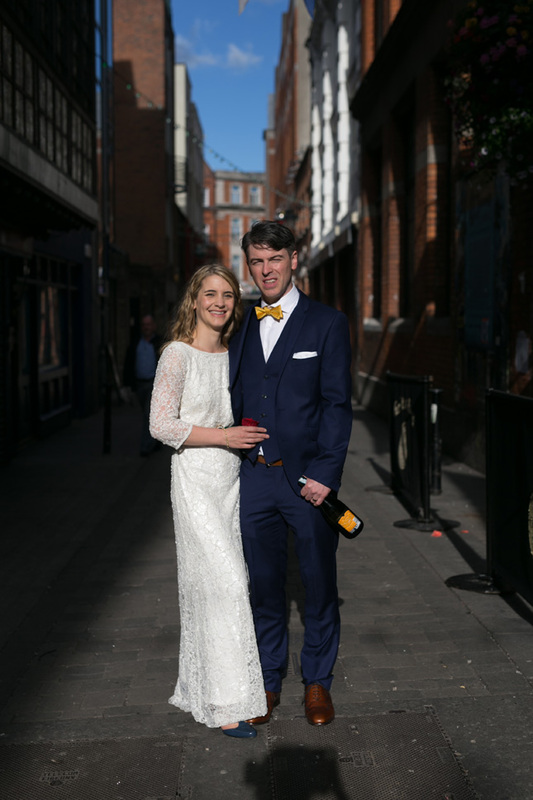 The children brought joy and a sense of fun to the day, making it less formal and more playful,” said Aoife. 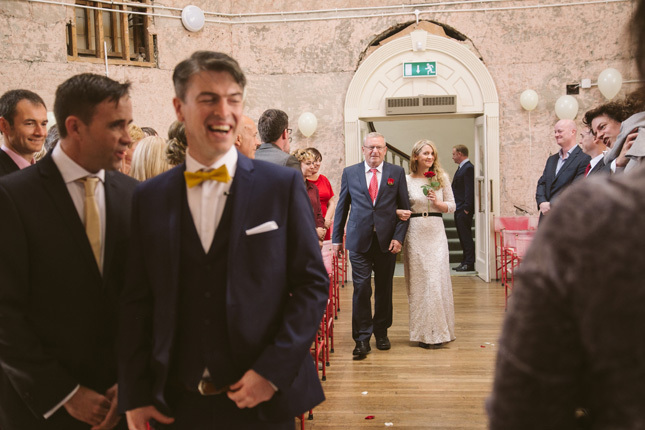 They did a lot of DIY so their unsung hero was Seamus, from Assembly House. 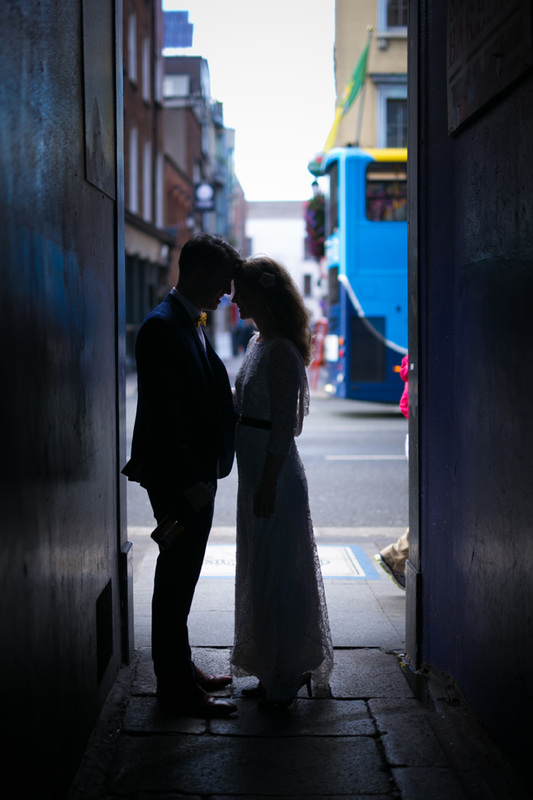 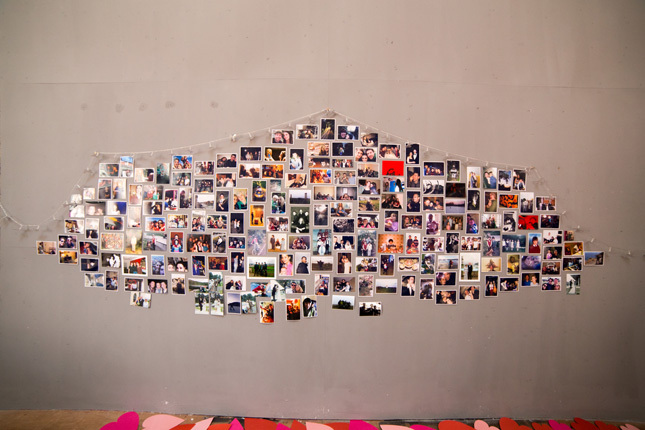 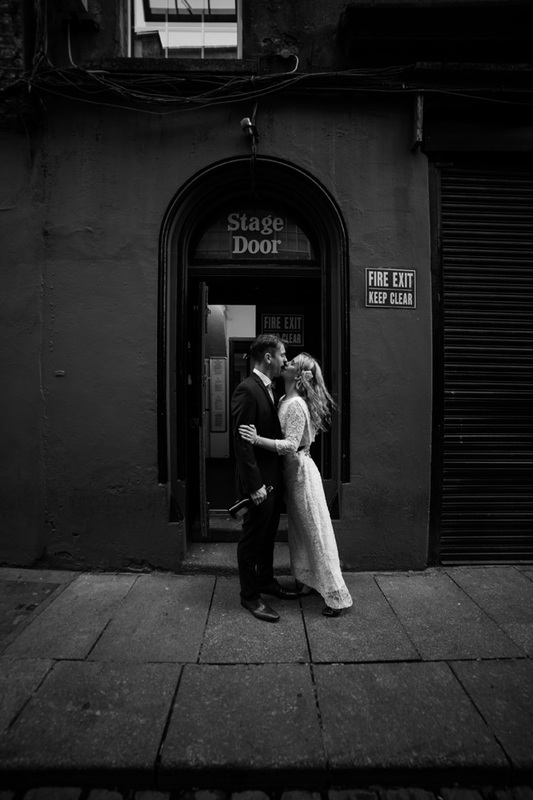 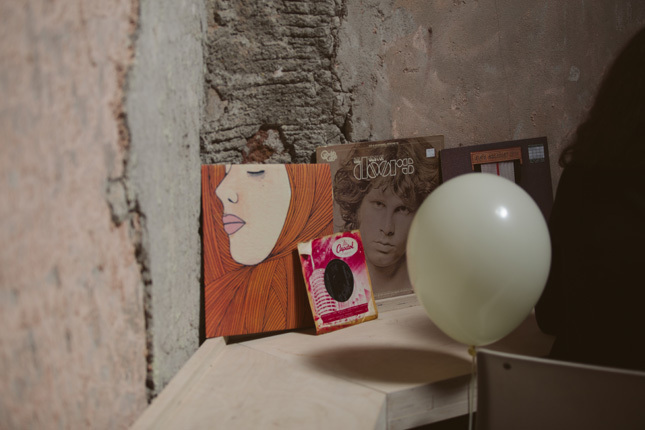 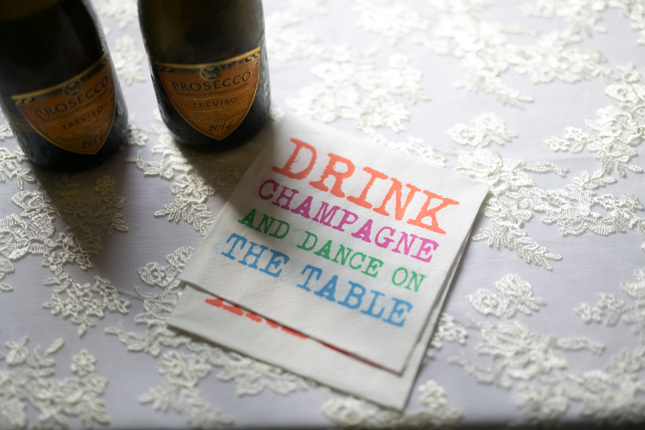 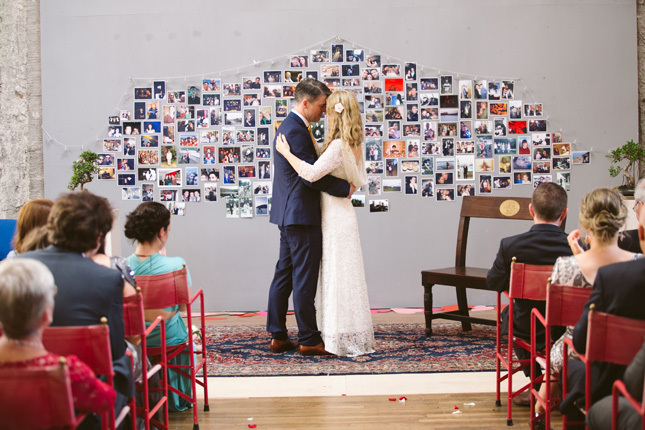 “He trusted us with a blank canvas and encouraged us to use our imagination in decorating the venue,” Aoife said.